At present the problem of proper water quality and quantity provision has become very crucial and has acquired a global significance. As a consumer of water recourses Euroterm CJSC has adopted a completely new approach, which excludes contamination of water basin and leads to minimum waste of water resources. The Company has introduced complex system of water re-usage and decrease of process water drainage. 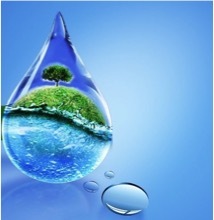 Specific procedures of water volume usage are defined, which provide continuous technical development of water saving system. Steam condensate return and filtration of water used for washing of fruits and vegetables enable us to increase the efficient usage of water resources. Periodical physical –chemical and bacteriological analyses of drained process water are performed to maintain the defined norms before draining to the municipal sewerage system. The irrigation of 250ha agricultural lands owned by the Company is realized by means of up-to-date drip irrigation system, which enables us to save considerably water and other resources.